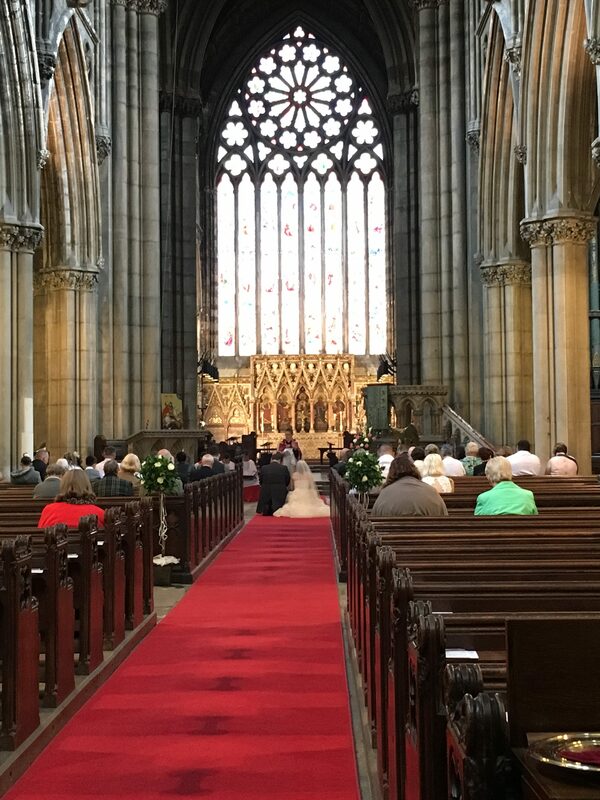 Marrying in the Minster is personal, meaningful and spiritual just as you want it to be. 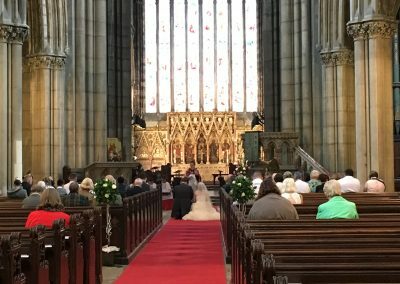 It is a special and unique place to get married in – the prayers, the promises, the music and the whole service of celebration become part of your marriage, on the day itself and beyond. 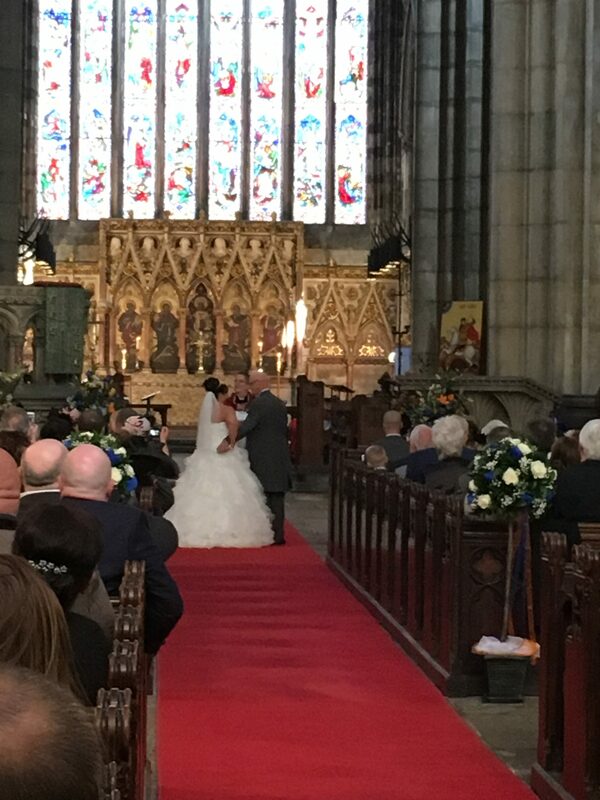 The Vicar blesses a newly married couple. 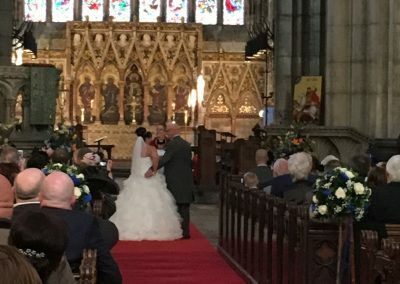 The Vicar blesses a newly married couple during their wedding ceremony.